This popular Brazilian street food snack is a spin on the Lebanese kibbeh, and is particularly popular in Rio de Janeiro. 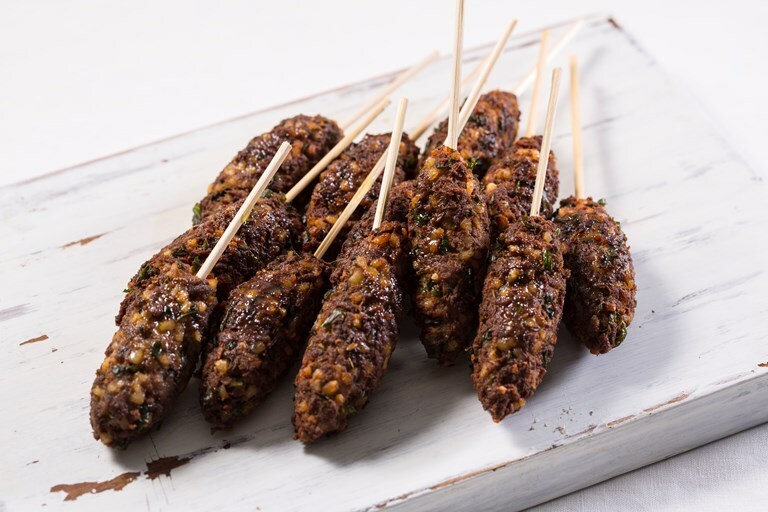 It is commonly served in beach bars as a ‘tira-gosto’ (appetizer), although makes a fantastic snack on the go when served on individual skewers. Marcello uses couscous to form his kibes but you could also bulgur wheat.